They went to seek God, but where ordered to pay a mandatory gate fee of N1000 before entering the church. 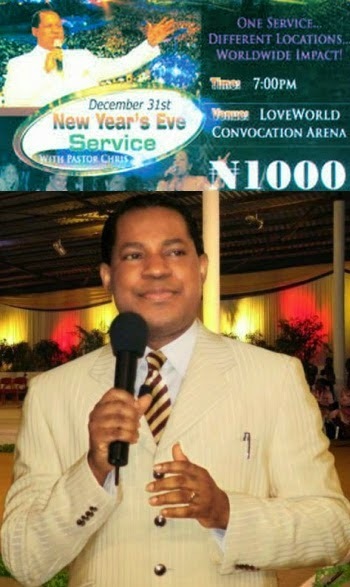 Though this is an annual tradition by Christ Embassy Church but many poor people who couldn’t afford the huge amount were sent home on New Year’s Eve. Since the revelations about the gate fees collection at Christ Embassy Church were made public last week, Nigerians have continued to express shock, outrage and indignation with many finding it hard to believe it. Many Nigerians expressed their indignation on the social media, especially Facebook. ‎”Gate fee collection appears good for crowd control in a theatre or secular concert, but not sound enough in the house of God where Christ the head of the church bids everyone to come, even when they only respond once in a year,”. “Even if the church prefers his already saved members to partake in a particular service, gate pass should have been given to them at no cost and they will have the privilege of going in first. “The crowd control rationale for gate fee collection in church in my opinion is world based,” ‎said Femi Olulowo on Facebook. Another user Onyeka Daisy Okochi said salvation doesn’t come at a cost. Daisy said in the Bible, a man who wanted to pay for salvation was refused. To Oyagha Anthony, Nigerian worshippers are gullible. “Did God come down through him (the pastor) that day?,” he asked. “I have watched the man preach severally and I don’t know the magic in his sermon and anointing that keeps making people fall for his tricks and gimmicks. “He quotes one Bible reference and shouts as if he just revealed what no man had ever read or seen in that passage before and then takes a run front and back and they all starts shouting. Just disgusting most times,” he said. To Clement Ali, “‎does it mean if I don’t have N1000, I won’t be allowed into the service? “Let them continue to pile up riches for themselves here on earth where moths will eat up and where thieves will break through,” Ali said. According to Erijery Reuben Mateta, some people are born spiritually blind, deaf and dumb. “However you preach to them they will never hear and understand,” Mateta said. 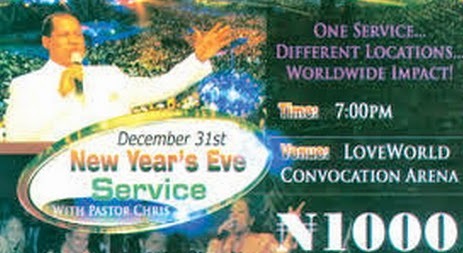 Eyitope Akeju could not believe that gate fees were collected at Christ Embassy Church on 31 December. “Somebody should please tell me this is not true. If it is true it means corruption is now everywhere,” Akeju said. To Aderibigbe Oluwasanmi; “‎Why are we going to blame a business name for doing his business, he is business man not a Pastor for real‎”. Isn’t this an insult to the poor people whose purpose of going to church in the first was to seek God’s face for financial breakthrough. Do you think it is proper to collect mandatory money from people going to church?